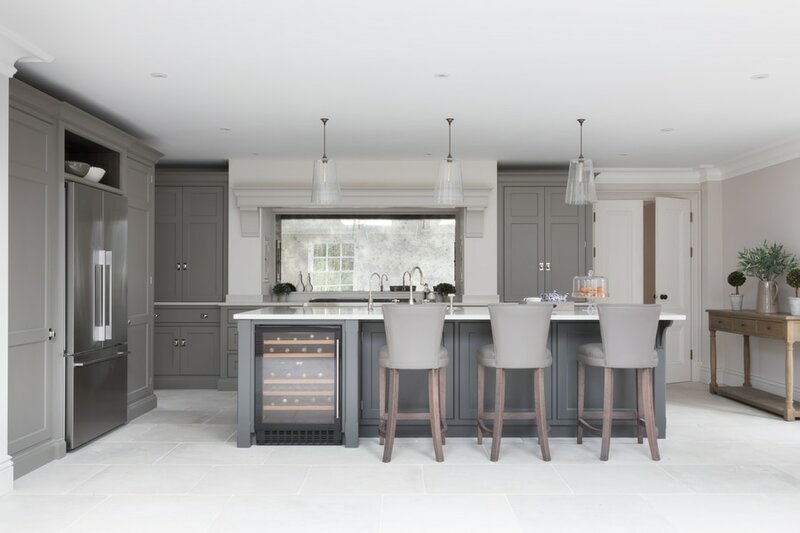 Humphrey Munson is a design-led kitchen company based in Felsted, Essex with a second showroom in St. Albans, Hertfordshire. With their contemporary take on classic English design, Humphrey Munson has blazed a trail with their detail-oriented approach to the design, manufacturing and installation of their projects. Designed as destination experiences, a visit to their showrooms is like stepping into a real home with fully functioning kitchens, utility and boot room spaces, and of course the always-coveted dream walk in pantries. Founded in 1995 by Peter Humphrey, Humphrey Munson uses traditional joinery techniques to manufacture handmade cabinetry at their workshop in Felsted, Essex. 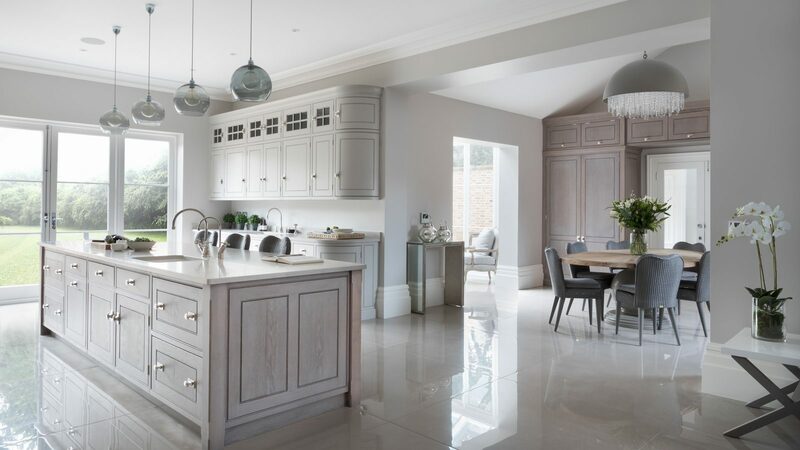 Working with residential clients across the UK and overseas, the H|M brand reflects the perfect balance of heritage and innovation in creating spaces that bring a fresh, clean look to classic English cabinetry design. Q Humphrey Munson has a fascinating heritage, which your clients love. Why do you think people appreciate the history of a design company? A We feel that our customers really respect the history of the company and the fact that Peter Humphrey (the Design Director and founder of the company) has spent the last thirty years working in this field, and his focus on quality is what drives us in every area of the business. When it comes to design, Peter really believe in the values of Georgian architecture – simplicity, proportion, and balance – but he also loves the crisp, fresh finish of clean, contemporary lines. 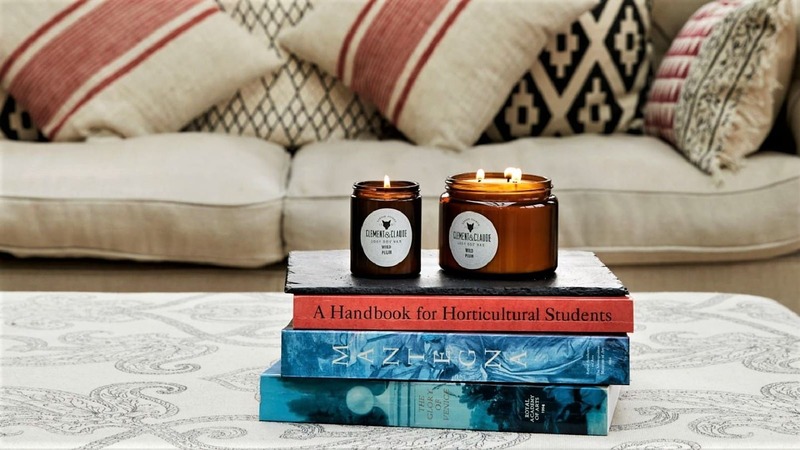 It’s the combination of these qualities that gives the spaces we design that calm and quietly understated look and feel. I guess you could say Peter’s love of classic English design is what underpins everything the design team do at Humphrey Munson. His great-great-grandfather, Joseph Munson, was a master cabinetmaker in the late 1800s in the East End of London and his style was not dissimilar to Peter’s own – classic English furniture designed with simplicity and functionality at its core. Although there was then a gap where the family did not carry on with cabinetmaking, Peter then set up Humphrey Munson in 1995 after working as a cabinetmaker and kitchen fitter. When he was thinking of a name for the company, Peter chose ‘Humphrey Munson’ to reflect both heritage and innovation. Q Humphrey Munson is renowned for building stylish kitchens of the highest quality – how did the company build this reputation? 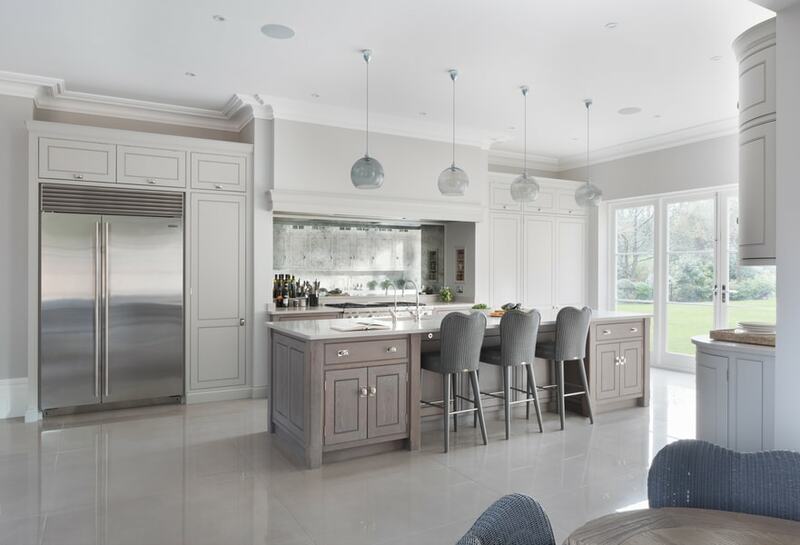 A We design and manufacture all our kitchens at our workshop in Felsted, Essex, using traditional joinery techniques combined with an innovative approach to the manufacturing process, using only the best quality materials. So everything we make is the best, we will not accept anything less. Attention to detail – and really the smallest detail – is a huge driver in our quest for perfection, but also not being afraid to innovate and change the way we do things has ensured that we can consistently evolve our working practices to offer the very best product we possibly can. It’s that attention to detail at every stage that is so important – design, manufacturing, installing and hand-painting – we don’t sub-contract our fitting or hand-painting work to guarantee the finish. We have an incredible team here who respect and share the company’s values. Q Open-plan kitchen extensions are hugely popular among homeowners who are looking to transform their home. 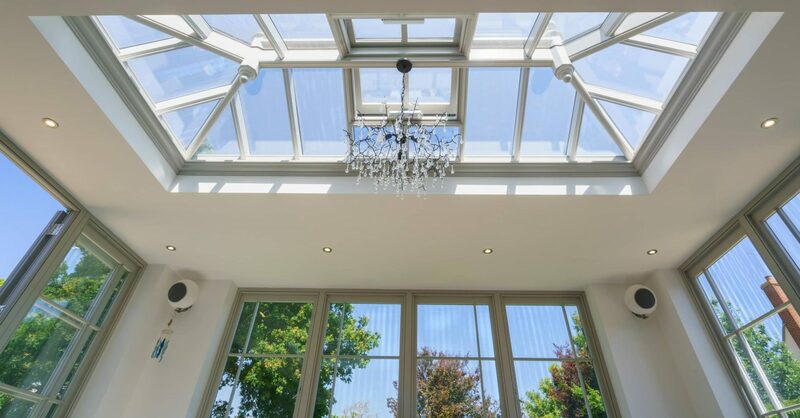 Why do you think a kitchen is so well suited to an orangery or garden room extension? 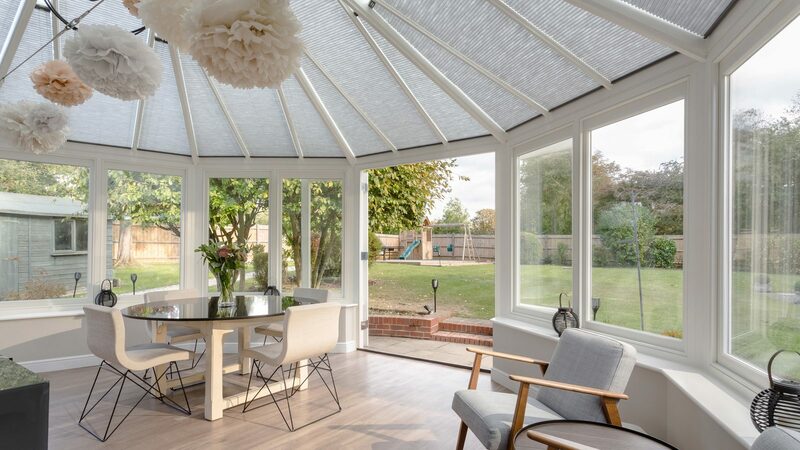 A Creating more light and space are usually the driving forces behind a renovation and installing an orangery/garden room is absolutely the best way to ensure both. An open plan area that includes a kitchen, dining area, and soft seating area is the space that a family will inevitably inhabit the majority of the time. 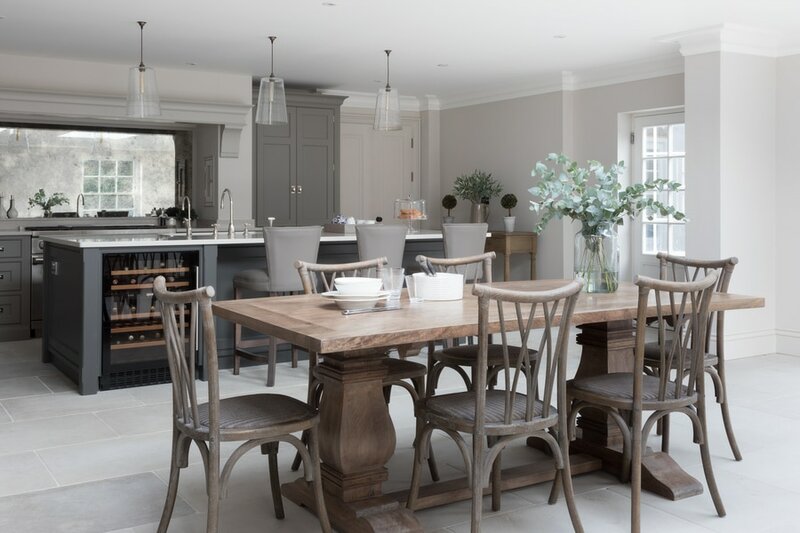 While there may be more formal drawing rooms or dining rooms in a home, these tend to be used when guests are over so the everyday life of the family home absolutely revolves around the open plan space. We hear clients say “we just live in here now” so many times – because it has everything they need and gives them space to be able to prep food, cook, eat, watch TV, do homework, play games etc. without getting in each other’s way. Q What is the most important thing to consider when planning the layout of your kitchen? A Flow and functionality are always the starting point. The flow of the room is so important to ensure that the users can move around easily and this is largely achieved by cleverly zoning the kitchen so there is space to prep, cook, eat, and easily clear away after meals. 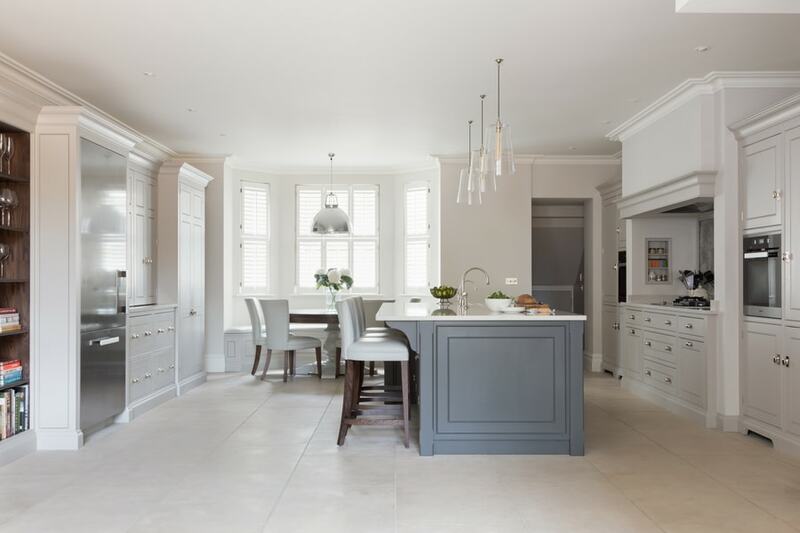 When we’re designing kitchens we’re always thinking about the balance of the room – the cabinetry has to reflect the scale and proportion of the room, but also the heritage of the house, and then lastly the aesthetic should be calm, organised, and welcoming. Q What’s one of the first things that you try to understand about a new client? A Well we always want to know about the type of project it is – so either a renovation, extension or new build and that will inform a lot of the design process in terms of timings. The project timeline is a critical element of the design process particularly with a renovation project, which may involve more complicated building works. In terms of the first step, we’d always undertake a design consultation with the clients either in our showroom or over the telephone, and that’s really an opportunity to take a brief in term of appliances but more so to find out how they live and how they envisage using the new space. We want to create dream kitchens and it’s the nuances of people’s everyday lives that ensure their kitchen design suits them perfectly. 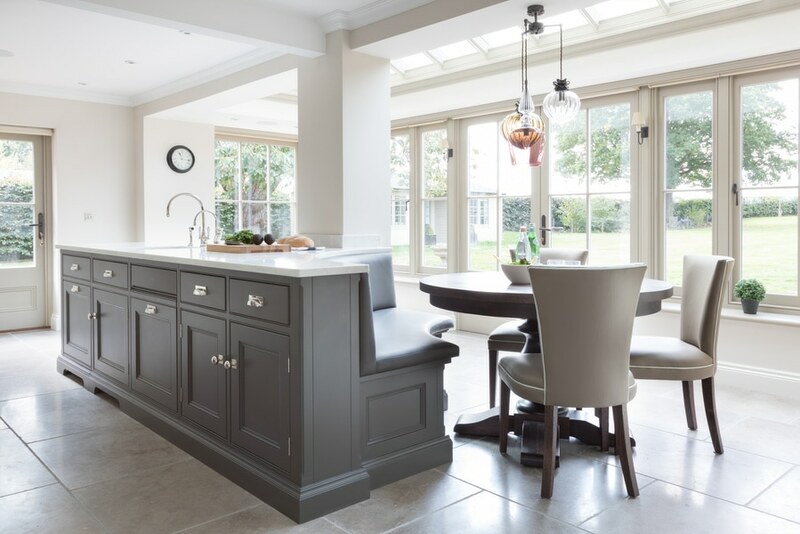 Q Anyone looking for inspiration for their new kitchen extension will be sure to feel overwhelmed by all the possible kitchen styles, from modern and contemporary to rustic and traditional. How can someone choose a final look? A If you start with the house or apartment itself, that’s usually a good place to think about what will suit the space best. Victorian family homes tend to have higher ceilings so ensuring cabinetry can be made higher to suit the space is important. 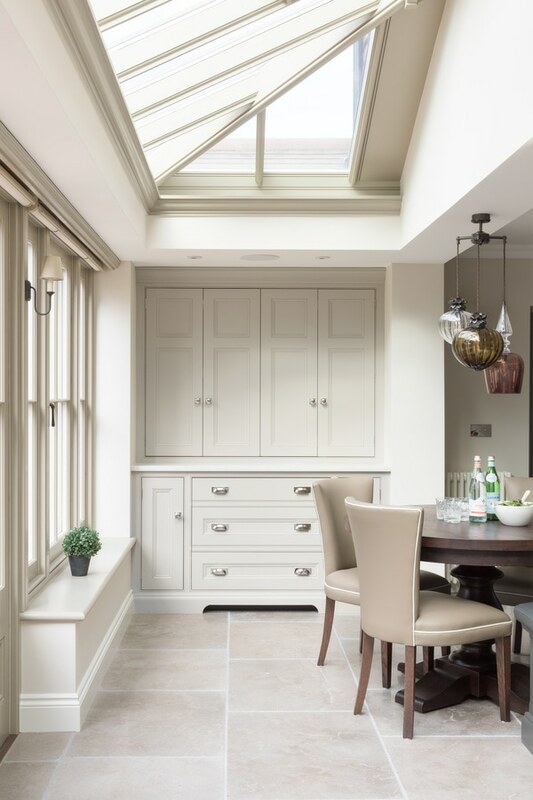 We feel that the classic English look and feel of traditional cabinetry is largely future-proofed in terms of the design aesthetic, and choosing a design that embraces simplicity and clean lines will ensure it keeps a contemporary feel well into the future. Q What advice can you give about choosing colours for a new kitchen? A We’d always suggest a darker colour for the island because it really helps to anchor it within the room and you can be really bold with the colour if you’re feeling brave. Courage with colour is hard, and lots of clients struggle to visualise how the end result will look – a lot of the time it is a leap of faith. Light and architecture are so critical to the final effect of the paint finishes in a kitchen (or indeed in any room) and that’s always something we would consider during the design process. Q What mistakes should someone avoid when designing their kitchen? A Avoid trends like the plague! A kitchen design is something that needs to stand the test of time, so anything that is ‘on-trend’ when it’s installed will quickly become out of trend as the years pass by. If you choose what you love and stick to your chosen aesthetic for the space, you can’t go wrong. Q What’s next for Humphrey Munson? Are there any exciting plans or projects coming up? A There’s lots of exciting new projects in the pipeline, as usual, but we’re particularly looking forward to seeing our longest lead time project being completed this year, which Westbury are also working on. It’s been three years in the making and we’ve loved being involved from day one. It’s a complete new build classical home designed by ADAM Architecture and will be truly spectacular once completed. Otherwise, we will be launching a range of bathroom vanity units that Peter Humphrey has designed – these will be available to order directly from our website in a move to offer more freestanding furniture. This range of furniture has been designed with all our usual aesthetic principles in mind and we can’t wait to see the reaction to the launch.